A big thank you to Origins for today's post! They were kind enough to send me some samples of their A Perfect World moisturizer and eye cream. I have been using them both for a couple weeks now and love them so much I just had to share! Origins is one of my favorites for skin care and a company I have been using religiously for quite some time now. It was no surprise that I was impressed by this age-defense moisturizer & anti-aging eye cream too. They have yet to disappoint. You rock Origins! 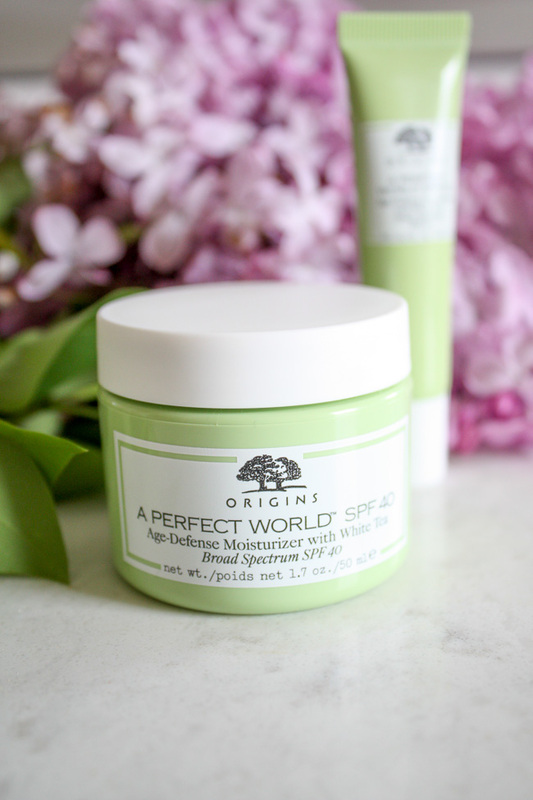 I think my favorite thing about the A Perfect World moisturizer is that it is constantly protecting and improving your skin without you even noticing it. 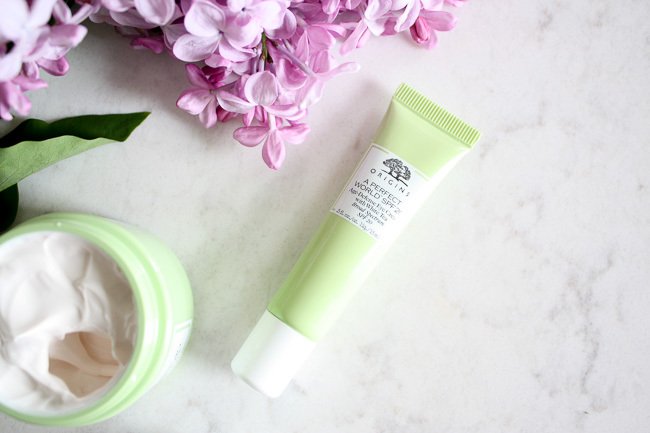 It is super hydrating like a thick face cream but isn't oily, provides SPF defense against the sun's damaging rays, but doesn't feel like a sunscreen, and it protects against free radicals and environmental stressors while feeling like you have nothing on. What could be better!? 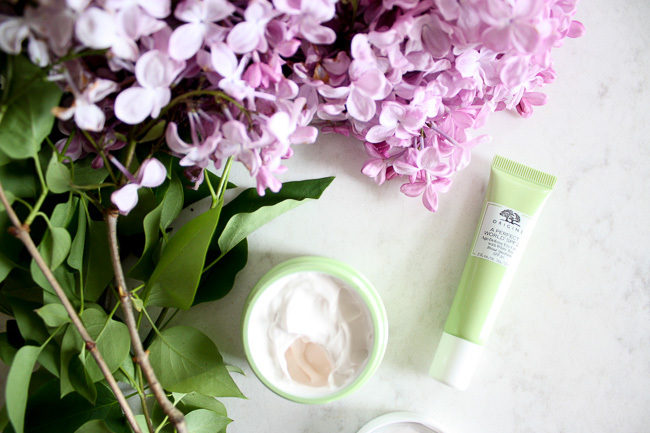 It truly is a moisturizer that works for you. My biggest gripe with moisturizers with SPF in them is that I feel like I am wearing sunscreen straight out of the bottle. I've always been so picky about this - if it smells like sunscreen or feels thick and oily then it is a no go. I've gone years without using products with SPF in them for this exact reason, and I am regretting it big time now. 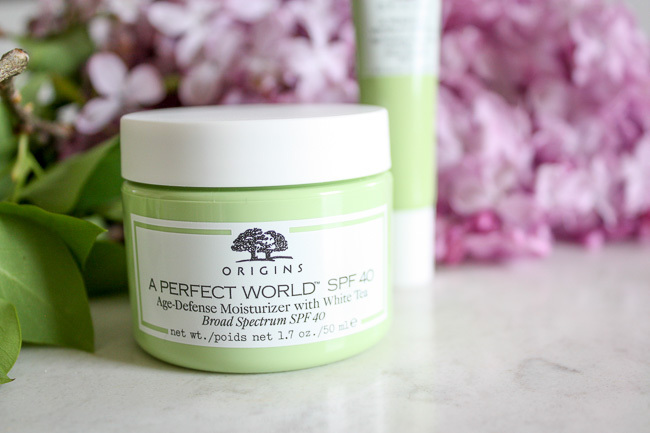 I wish I had discovered Origin's A Perfect World moisturizer sooner because you truly can't even tell it is on your skin, let alone that it has sunscreen in it. It is a total game changer! 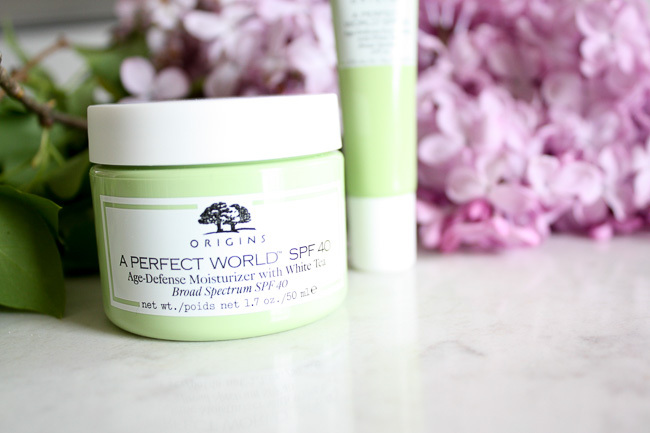 I'm telling you, you need to go get the A Perfect World moisturizer and anti-aging eye cream asap. It just might be the best decision you make this week. 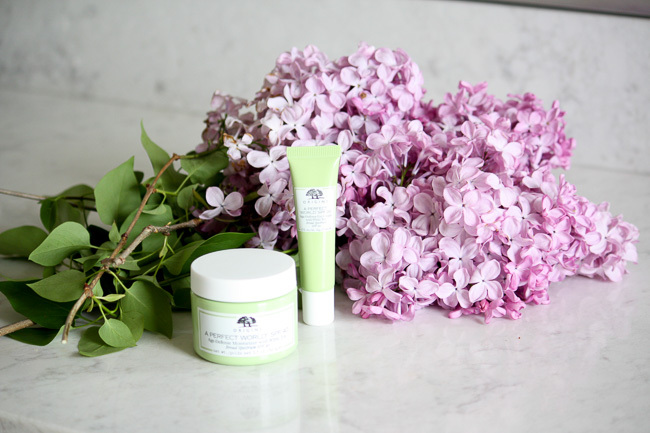 Invest in your skin and your future skin - you will undoubtedly thank yourself someday. Remember, healthy skin is beautiful skin. Enjoy! 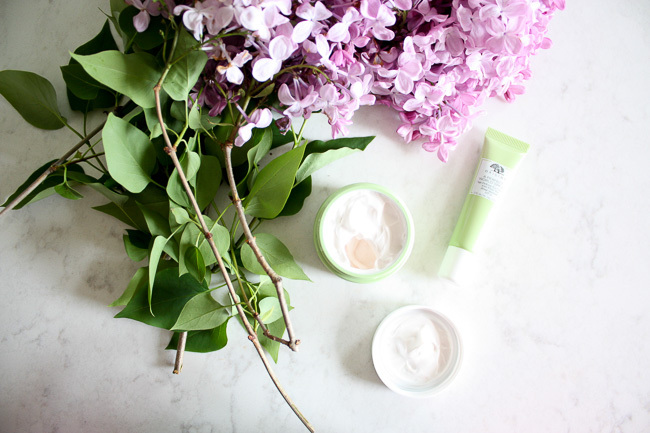 A BIG thank you to Origins for making amazing products, sharing them, and inspiring this post! 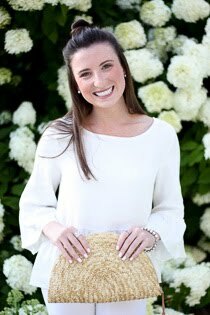 Where to Eat in Charleston!